Formerly known as "Kedah Peak", this forest-clad Gunung Jerai is a massive limestone outcrop that rises 1200m above sea level. As the highest peak in the state, it adds a touch of variety to the scenic flat plains seen throughout the area. It's located near Sungei Petani, not far from the island of Penang. When you've been on Penang you must have seen the Gunung Jerai (across the sea) on the mainland. 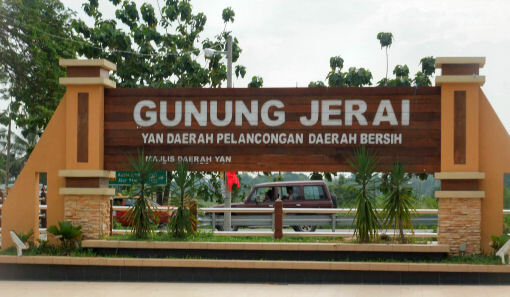 From the historical viewpoint, Gunung Jerai plays an important part in the history of Kedah. Even before the Malacca Sultanate became famous, Indian and Arab merchants were already making a beeline for the Merbok estuary at the foothills. After travelling from the Bay of Bengal, the first glimpse of this strategically located mountain was a welcoming beacon to the sea farers. As a result, they traded and even settled down at the foothills. Considering this place to be sacred, traders built a complex of temples that have now been excavated and preserved at the Lembah Bujang Archeological Museum site. Like all other mountains, Gunung Jerai has its fair share of history and fascinating tales. Legend has it that Raja Bersiong, the 'king of fangs', once had his ancient kingdom within the Bujang Valley, at the foot of the mountain.Recent archeological findings revealed the existence of the "Temple of the Ninth Water Pool"; many believe that it was Raja Bersiong's private pool. Relics uncovered in the area provide evidence of a Hindu-Buddhist civilisation dating back to the fourth century A. D. Isolated from the other mountain ranges of Peninsular Malaysia, Gunung Jerai has a unique range of medicinal plants and herbs not found in other mountains. 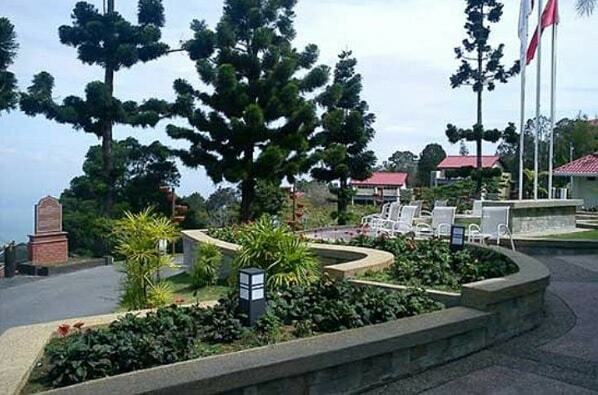 Today, Gunung Jerai is Kedah's premier hill resort and recreational park. 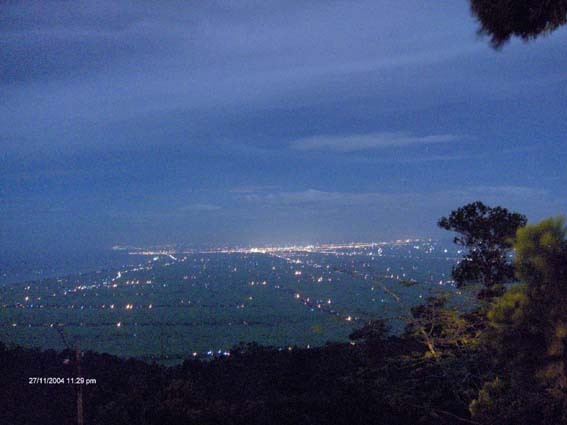 On a clear day atop the peak, the cool, refreshing mountain offers spectacular views of the rolling paddy fields of Kedah stretching up to Perlis, and the islands of Penang in the south and Langkawi in the north-west. The mountain also offers a unique selection of plants, which make it even more intriguing for the botanist. 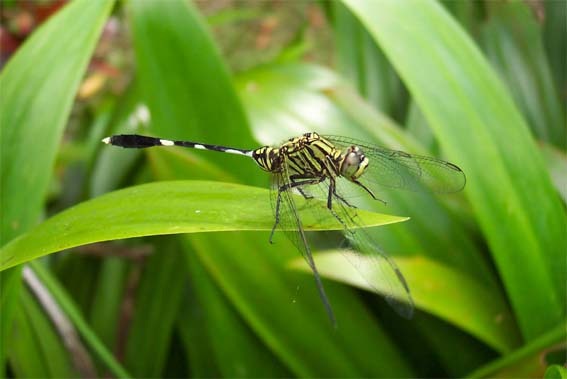 The Sungai Teroi Forest Recreation Park houses an endless variety of herbs, ferns, flowering plants, and climbers. Picnic sites are scattered all over the park, offering sweeping views of lowland plains and padi fields. Hiking trails that are interspersed with flowerbeds of vivid hues provide opportunities for leisurely strolls. Trees along the path are labelled for easy identification. Part of the mountain stream has even been dammed to provide cool clear pools for swimming. For the more adventurous, overnight shelters have also been provided. The main vegetation is the dipterocarp forest which consist of hardwoods such as keruing, cengal and meranti. Going up the landscape changes dramatically from lowland to montane conifer forest. Typical species of the conifers include Agathis dammara and Podocarpus imbricatus. Several rare orchids are found on Gunung Jerai including the Bulbophyllum longiflorum. Pitcher plants of the Nepenthes species are also quite common. The famous Alur Naga waterfall is located about 200m from the resort, which is a magnificent spot. The hike down a path of steep boulders was well worth it as one could spend the whole day enjoying the serenity and beauty of the falls. The water was clear and the 30m high waterfall simply breathtaking. The pool beneath it is waist deep and safe for swimming. The name was derived from a legend where a dragon was believed to have lived in the cave behind the waterfall and occasionally came out to bathe in the pool. 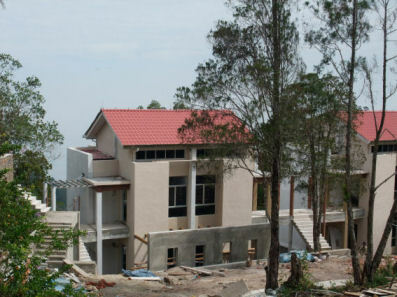 At the peak of the mountain, the Museum of Forestry houses a wealth of information and artefacts on Malaysian forestry. 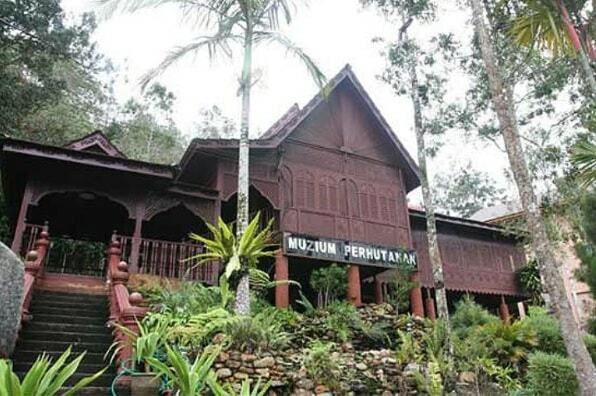 The museum is housed in a beautiful traditional Malaysian house. 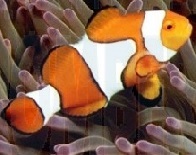 It's located on a short distance from the Peranginan Gunung Jerai Resort. At the museum visitors can derive useful information on Malaysian forests and learn among other things, the commercial and medicinal uses of different indigenous plants. By road: On the North-South Expressway, take the Gurun exit. From Gurun town, turn towards Alor Star. Access to Gunung Jerai is two km from town and five from exit. From foot of Mount Jerai to Peranginan Gunung Jerai resort. Vans drive the 13 km route to the resort. Van service can also be used by those not staying at the resort. By air to Alor Star: Malaysia Airlines flies daily to the Kedah capital. Airport transfers available from Sultan Abdul Halim Airport to Peranginan Gunung Jerai. Other nearest airport is the Penang International Airport. Campers must bring own tent.